You know where she be. 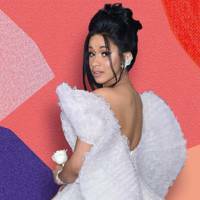 Cardi B just dropped her majorly anticipated debut album, Invasion of Privacy, this week (and it took less than 24 hours to be , NBD), and she's not slowing down: The rapper revealed that she's working on some sort of fashion collaboration with one of her favorite retailers, the Instagram-favorite Fashion Nova. If you follow Cardi on Instagram, you know she loves her Fashion Nova. 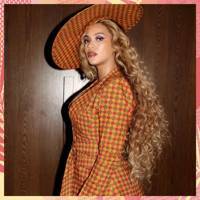 She'll wear it with Ralph Lauren, Altuzarra, and other designer goods, and she's described it as the secret for "how rich people like me stay rich." Cardi B, whose wardrobe will never, ever be described as "minimalist," has repped Fashion Nova on her 'gram, and it's been nothing short of iconic. Let's revisit some of her best Fashion Nova moments, shall we? Hear, hear. Honestly, the collaboration is great news, but we're almost even more excited for her promos.